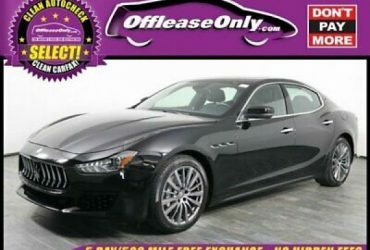 2017 Maserati Ghibli ($75,925 MSRP) 2017 MASERATI GHIBLI ~ $75,925 MSRP~ ONLY 3K MILES! 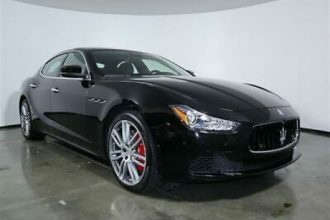 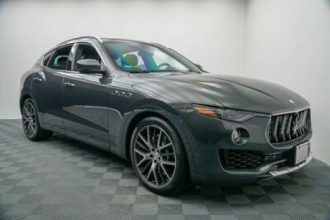 ~ 1-OWNER~ PRISTINE CAR Vital Information Year Make Model Mileage 2017 Maserati Ghibli ($75,925 MSRP) 3,030 Exterior Interior Stock # VIN Grigio Black w/ Red Stitching 213767 ZAM57XSA3H1213767 Engine 3.0L V6 Cylinder Engine view window sticker Carfax Highlights View Carfax Report Not all accidents or other issues are reported to CARFAX. 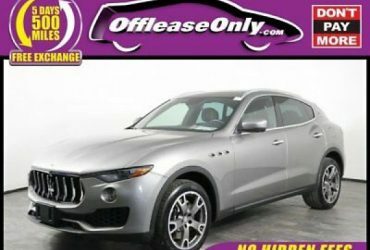 $75,925 ORIGINAL MSRP!ONLY 3,030 MILES! 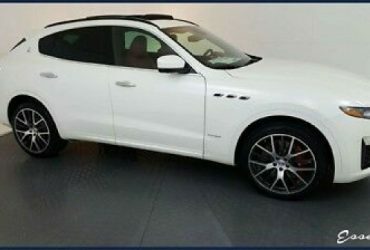 ———————————- This car comes with. 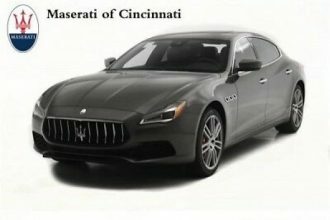 0L Twin Turbo V6 Transmission: ZF 8-Speed Automatic -inc: manual mode Transmission w/Driver Selectable Mode Double Wishbone Front Suspension w/Coil Springs Rear-Wheel Drive Front And Rear Anti-Roll Bars Multi-Link Rear Suspension w/Coil Springs Gas-Pressurized Shock Absorbers Mechanical Limited Slip Differential 21.